Almost every Friday night, we go to our local Mexican restaurant for chips, salsa and guacamole. 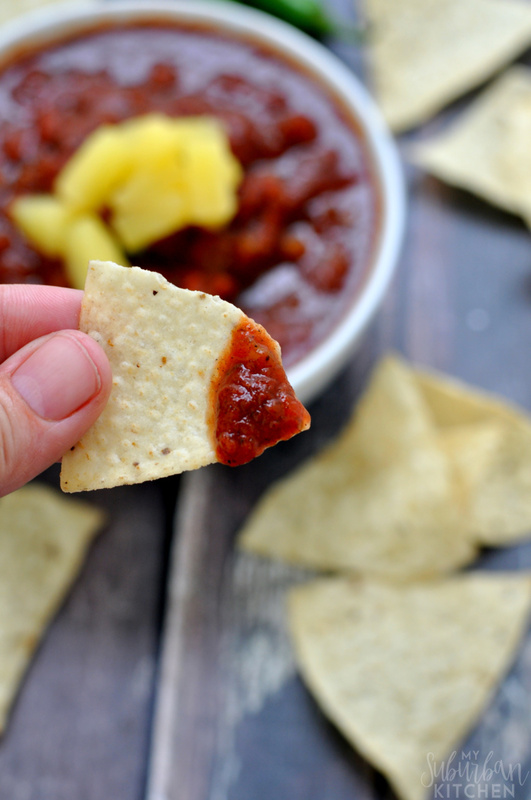 I love cantina style salsa and make it at home all the time to bridge the time between Friday nights. At home, we make cantina style pineapple salsa for something a little different. 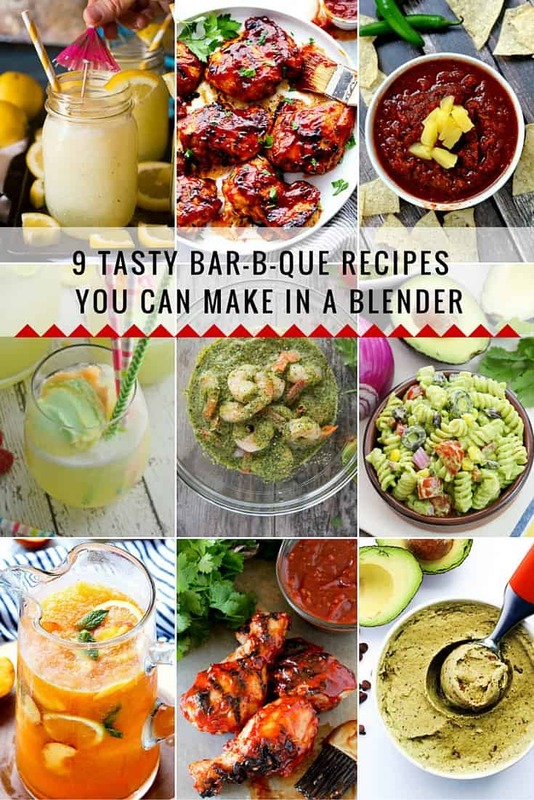 I use my blender to create the salsa and it makes it so easy to quickly whip up a batch. I use half fresh tomatoes and half roasted tomatoes in the salsa because I love the smoky flavor the roasted tomatoes offer. The pineapple is just a fun added ingredient that I stir in towards the end. 1. Preheat broiler to 500 degrees. Core 1/2 of the tomatoes and place on lined baking sheet. Place in oven under the broiler and broil until tomatoes are blackened and blistered. Remove from oven and let cool. 2. In the blender, combine onion, garlic, roasted tomatoes, remaining tomatoes, jalapenos, cilantro and lime juice. Pulse until roughly chopped and combined. 3. Transfer to salsa to serving bowl and stir in pineapple. Refrigerate until ready to eat. Preheat broiler to 500 degrees. Core 1/2 of the tomatoes and place on lined baking sheet. Place in oven under the broiler and broil until tomatoes are blackened and blistered. Remove from oven and let cool. 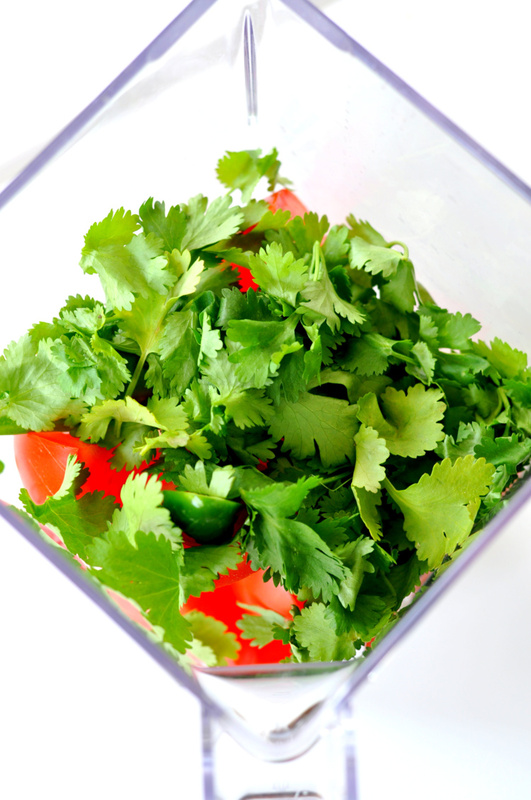 In the blender, combine onion, garlic, roasted tomatoes, remaining tomatoes, jalapenos, cilantro and lime juice. Pulse until roughly chopped and combined. Transfer to salsa to serving bowl and stir in pineapple. Refrigerate until ready to eat. Sorry I missed the fun giveaway, but this salsa more than makes up for it. Yummy and easy, gotta love that. Thanks for partying with us on Creative K Kids Tasty Tuesdays. I always love to see what you share with us. 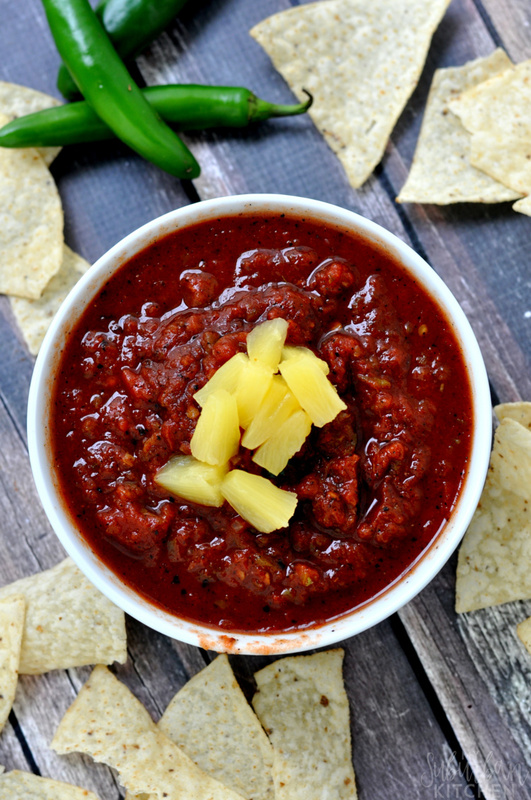 I really like salsa with pineapple. 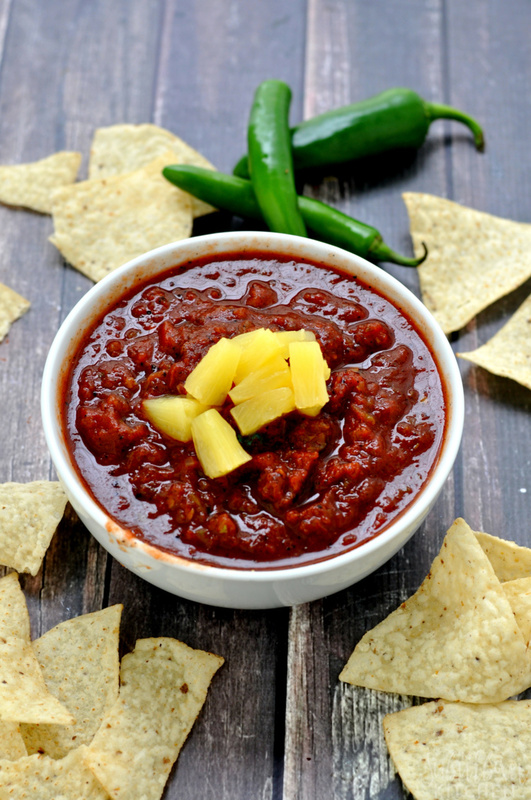 I put pineapple in my chili sometimes too. Oh this recipe looks absolutely delicious. 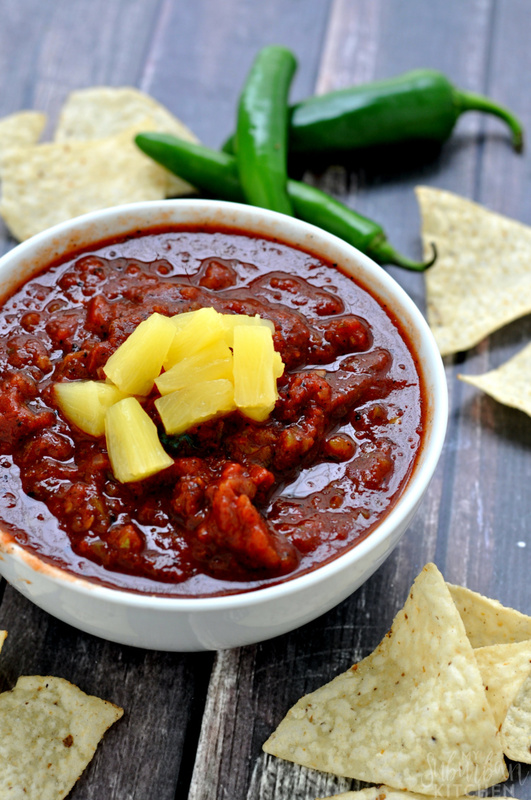 I love using roasted tomatoes in my salsa dishes, and your addition of pineapple sounds scrumptious.